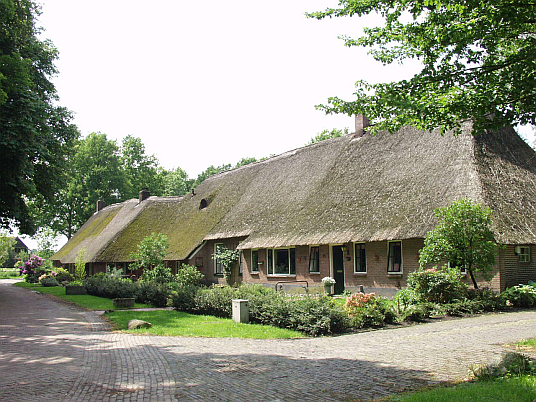 NL, Schoonebeek: southern Drenthe area – a systematic survey of historical buildings. About 1830 the first complete cadastre of the Netherlands was made by surveyors. This cadastre contained even plot-limits and the buildings on them. The owners of land and buildings were registered in a list, called “Oorspronkelijk Aanwijzende Tafel“. This was all done in order to improve the collection of taxes. Fortunately it delivered the property situation to posterity too. Schoonebek, is one of the oldest towns in the southern Drenthe area and consists of four settlement cores: Westersebos, Middendorp, Oostersebos and the village of Schoonebek itself. The town is situated in the south-eastern part of the province of Drenthe, close to the Dutch-German border, next to the German county of Bentheim. The local foundation “Stichting Poppen” works there in order to review the history of the town and to make it accessible to everybody. One of its goals is to build up an inventory of all farm buildings situated on the same plots as listed in the first cadastre and to date those buildings dendrochronologically. 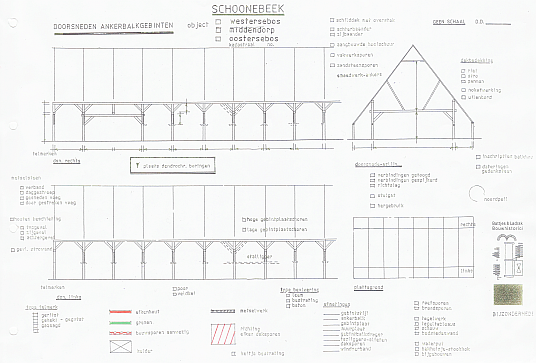 The association called “De Spieker”, rendered assistance by gathering information about the array of owners of the old building stock. Building researchers Hans Ladrak and Jan Battjes took on the task to inventarize and analyze the historical building stock. The dendrochronological laboratory of Pressler GmbH contributes with dendrochronological datings for all buildings. More than 1000 analyzed samples from the Drenthe area and the adjacent county of Bentheim compiled to 6 dendrochronological calendars with a strictly limited selection of material, build the basis for a high rate of successful datings. Work on the inventory, which started in the second half of 2011, is aided by a special building scheme which assists to record the historical building stock in a very time- and cost-saving way. The typological assignment in addition with the dendrochronological dating, now allows people to get a quick and systematical overview. 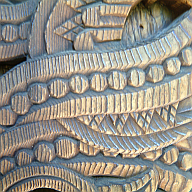 Dendrochronology can contribute to the project in many ways. On the one hand it dates the buildings and thus helps to investigate the temporal dimensions of the historical building stock. On the other hand it can help to explore the origins of the timber used for construction, which is of central interest in respect of the location of Schoonebeck, close to a borderline. Thus trans-regional commercial relations may be revealed. Thanks to the integrated efforts of classical historical, building historical and dendrochronological methods it is now possible to reconstruct the history of Schoonebeek and its relations in time and space broadly.